After passing 300 million downloads in July 2013, leading mobile games publisher GAMEVIL has now surpassed 400 million mobile game downloads. Popular titles such as Monster Warlord and Spirit Stones have contributed to GAMEVIL’s growing fan base and continue to drive up the number of GAMEVIL games on smartphones across the globe. This milestone comes just before today’s launch of Kritika: Chaos Unleashed. Known widely for its mobile Action RPG titles, GAMEVIL expects Kritika’s crisp graphics, dynamic characters, and cathartic hack-and-slash motions to appeal highly to gamers across all markets. In Kritika, players can annihilate enemies and bosses with a variety of strike and attack abilities, including a special EX skill which provides maximum impact. They can further immerse themselves in the fast-paced fighting world of Kritika by raging against endless Monster Waves or competing to become the ultimate champion in a Rival Match. Current characters consist of the aggressive Berserker and agile Cat Acrobat, but future updates promise to add more characters with their own intense fighting abilities. 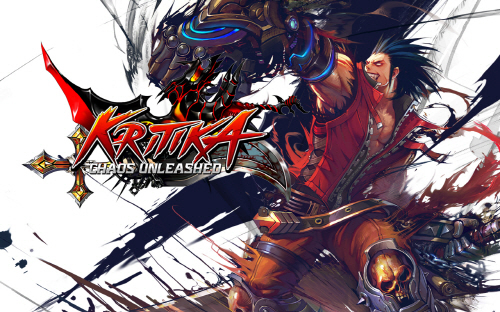 Kritika is just the beginning of a series of highly-anticipated titles and updates being released this year. From new content in MLB Perfect Inning to a return to the Zenonia series with Zenonia Online, GAMEVIL will continue to set and meet higher standards in mobile gaming.